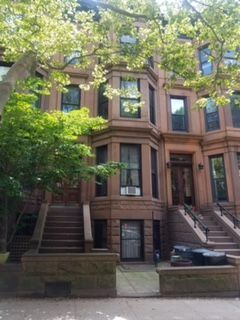 Live on one of the Best Brownstone blocks in Brooklyn! Just steps from Prospect Park and close to 7th Avenue. Located in the center of Park Slope, this cozy jr 1br offers high ceilings, original period details, shutters, a fireplace mantle, parquet floors. Short distance to 2/3/B and Q subway lines. Laundry on premises. Cat ok, no dogs. Available May 1st.